In the digital age, the speed at which information travels can be both a blessing and a curse. A report on the Husky Energy refinery fire found social media caused confusion for emergency crews trying to evacuate people from Superior in April. Julia Johnson was working at home in Superior about three miles away when an explosion at the oil refinery sent debris flying into an asphalt tank, sparking multiple fires. "There was like a loud boom, the windows shook, and then I didn’t know if a truck had crashed into somebody’s house, if an airplane had crashed," they said. "I had really no idea what might have happened." Husky emergency crews doused the first fire, but it started up again after noon. People were being told to evacuate. Johnson checked Facebook and news websites, but it wasn’t clear what areas were in the evacuation zone. "I checked one page and it said within one mile of the explosion," they said. "One said one to three and both of them said three to five." Douglas County Emergency Management Director Keith Kesler said there was a lot of confusion about the evacuation area that day. An 18-page report on the emergency response points to social media. "Information that was not 100 percent accurate got out that perhaps caused the evacuation zone to be a little larger than it originally was intended to be," said Kesler. "Working with social media can be very difficult. It’s hard to control." A lot of agencies and people were giving out different evacuation orders on Twitter and Facebook, including the National Weather Service and the Superior Police Department. Even Superior Mayor Jim Paine shared evacuation information that wasn't quite right. But, Paine said social media and confusion go hand in hand. "I’m just not feeling terribly apologetic for either myself or anybody else that issued an order for doing so," he said. "Once they saw danger, they told people to get out of danger and they gave them the best information they could at the time they had it." If the same thing happened today, Paine said they would respond better. He and other agencies in Superior and Duluth have gone through training so that everyone knows their roles in an emergency and the incident command structure that guides emergency response. Douglas County’s Kesler said many had already been through that training, but they’re improving how they work together. The report suggests designating one public information officer or spokesperson to provide a "unified voice, especially for issues like evacuation zones." "We’re going to work more to try to develop a better public information program to try to get everyone saying the same thing at a similar time," Kesler said. For Kesler, there’s always a few wild cards, but he feels the emergency response pretty much went by the book. But, that’s no comfort to Johnson, who returned home that night thinking the fire was out and the evacuation order had been lifted. "They had put it out a little bit, but it had restarted so the evacuation was still on until 9 a.m. the next day," Johnson said. After authorities announced the fire was out at 6:42 p.m., Superior Police tweeted the evacuation would last about two more hours. It later corrected that post, noting the order would remain in effect overnight. Johnson said they were trusting emergency crews and city leaders to give them the best information to keep them safe. "I would prefer if they don’t know, they say they don’t know and they say it’s indefinite because they’re putting people’s lives at risk putting out wrong information," Johnson said. The actual evacuation area that day? The county’s report said it was a one-mile radius around the refinery, 10 miles south and three miles east and west of the southern evacuation line. Social media wasn’t the only factor causing confusion for agencies trying to communicate during the response that day. The report also identified issues with cross-border communications. Superior and Douglas County have mutual aid agreements with partners across the border in Duluth and St. Louis County. Kesler said many ambulances and agencies from surrounding areas came to their aid that day. But, some struggled to communicate across state lines because Minnesota uses the Allied Radio Matrix for Emergency Response (ARMER) system and Wisconsin uses Wisconsin Interoperable System for Communications (WISCOM). The two radio systems operate on different frequencies. "Those systems are not compatible to talk to each other. We have been working for some time and pretty near half a million dollars worth of equipment is in place to tie those two systems together to provide a path so we can basically talk across the border," said Kesler. "But, that system was not in place at that time. The equipment was there, but things weren’t operational yet." If that framework had been in place, Superior Police Chief Nick Alexander said they could have worked more independently to address any issues with the emergency response. "We needed to pair a Superior police officer with a group of four or five outside agencies simply because they couldn’t communicate on our radio system during the event," he said. "We needed to have somebody with an SPD member with a radio so everybody could communicate." The incompatible radio systems also caused confusion for St. Luke’s Hospital in Duluth, said the hospital’s safety officer Mike Marturano. One patient with serious blast injuries from the explosion had been transported there for treatment. "Because of that frequency mismatch, we just knew of nothing that was going on over there. We had no way to get any information," said Marturano. "We couldn't even verify that we weren’t going to get anybody else other than that one person from anybody other than Gold Cross." Kesler said the two states were dealing with installation issues that have since been resolved. Now, Minnesota and Wisconsin are working to find a way to best utilize equipment that’s in place to talk across state lines. The review of the Husky refinery fire has also prompted officials to view events in Duluth and Superior as one event, which would result in the activation of emergency operations centers on both sides of the border. While the report made several recommendations to improve communications, it also identified a number of strengths and areas for improvement. The review lauded the coordination and response of multiple agencies to assist Superior and Douglas County while calling for more training and tabletop exercises. The report also recognized the timely notification of schools, evacuation of 11 patients from Essentia Health in Superior and prior training between Husky, Superior Fire Department and Superior Police. Superior Fire Chief Steve Panger said training exercises with Husky Energy’s emergency response team has improved their response. "We sort of know and expect and understand what everyone is going to do," he said. "From a communication standpoint, that’s probably our biggest success of that is just working together in the last five years to make sure the day we have a response is not the first day that we’re working together." Since then, he said they’ve gone through additional training at Husky with Texas-based industrial firefighting firm Williams Fire and Hazard Control. Panger said they're also planning to send firefighters to tour Husky’s refinery in Lima, Ohio, next spring. Superior's fire chief is confident they would have been ready to respond to any release of toxic chemicals that day. In Duluth, physicians and teams were standing by with calcium gluconate at Essentia Health. The medication would have been used to treat burns or respiratory issues related to the release of hydrogen fluoride, said Dr. Dawn Drotar, internal medicine physician and chair of hospital services at Essentia. "Our pharmacy staff did feel like we had adequate amounts to treat many people if needed," said Drotar. "Calcium gluconate is something that we use commonly in the hospital. It would have just needed to be formulated a little differently, but the pharmacy staff was aware of that and were already working on doing that." Meanwhile, some families voiced concerns about the Superior School District’s process for notifying parents during the evacuation. Superior’s Kym Young said she first found out schools would be evacuating her grandchildren to the AMSOIL Distribution Center in Superior on social media. "That was kind of scary because it’s like what if social media is down right now?" she said. "It was really touch and go. People were trying to check in and connect with people and make sure where they were that day." Young said she’s the point of contact for her grandchildren with the Superior School District. But, she was several states away in Alabama when they notified her about the fire. She struggled to reach her daughter to relay information from the school district. "Their emergency protocol is to send out a message, an email and a social media message to contact parents," said Young. "Well, not all those parents got those contacts so that needs to be updated." Since the event, Superior Schools Superintendent Amy Starzecki said they’ve developed a communications protocol so parents know what to expect in an emergency. "We’ve identified now people who are point people in the district and a chain of communication across the organization," she said. "For example, instead of me communicating with (multiple) principals at one time and a school board, we’ve identified more of a calling tree so that is much more streamlined and manageable." Starzecki recognized the district’s drivers for their quick evacuation of children to AMSOIL in Superior. 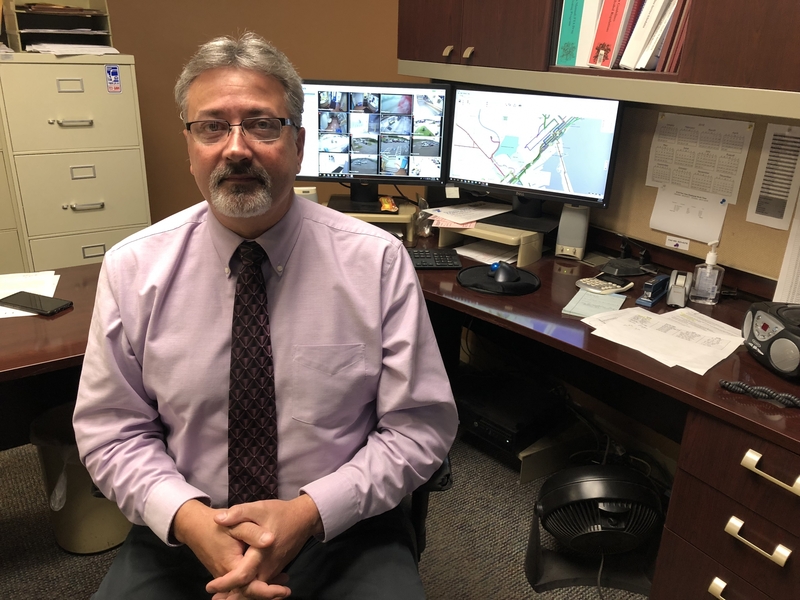 Rod Fournier, director of operations for the Duluth Transit Authority, noted several staff worked longer shifts to free up drivers for the seven buses that evacuated people to Duluth. However, he cautioned that facilities in the region may need to seek other transportation options to evacuate residents depending on the severity of the emergency. "What we tell people is when they call for that information ... that we take direction from EMS," said Fournier. "When you have an emergency situation, that’s what we need to do." If the situation had been more severe, Fournier said they would’ve canceled their regular routes to evacuate people out of harm’s way. Husky Energy said the company’s third-party experts have also conducted a review of its response that day by conducting interviews with multiple agencies. Husky spokeswoman Kim Guttormson said in an email they have filed plans with agencies that detail potential evacuation zones and facilities within those areas. She added the 36 members on Husky’s emergency response team also attend industrial firefighter training every year. 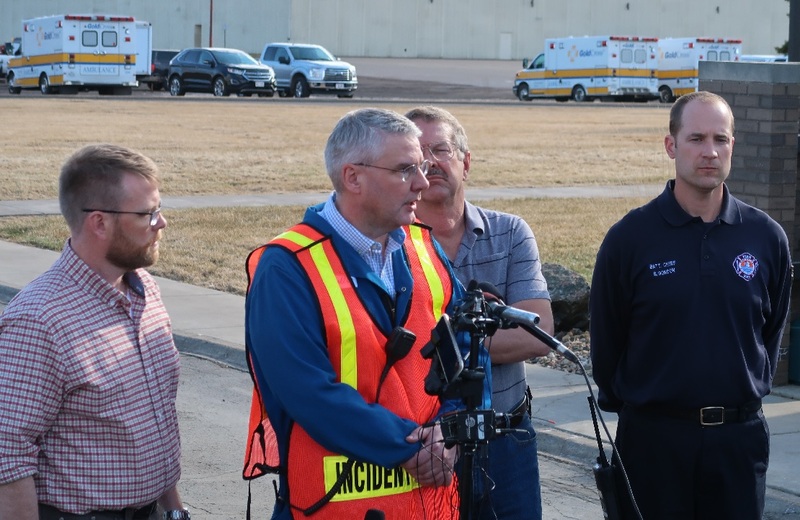 "The Superior Refinery works closely with Douglas County and the Superior Fire Department to help ensure the community and industry are prepared to respond jointly to serious events such as the April 26th fire," she said.